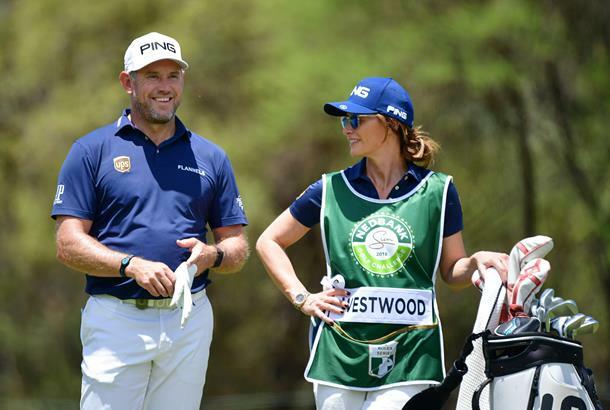 For the first time since April 2014 Lee Westwood had his hands on a trophy on Sunday after winning the Nedbank Golf Challenge - and he did it with girlfriend Helen Storey on the bag. It was just her second stint working as Westwood's caddie, having been on the bag when he lost in a playoff in Denmark earlier in the year, and followed it up with a victory in South Africa. "It's been brilliant," Westwood had said about having Storey on the bag in place of long-time caddie Billy Foster, and hinted at a possible reshuffle in his team. "She's caddied twice for me this year and we lost in a play-off in Denmark and we've won here. Might have to have a bit of a rethink, not least about who caddies for me, but our percentages!" And now, according to a report from the Telegraph, it transpires the partnership is here to stay as Westwood's long-time caddie Billy Foster confirmed the split came after the Turkish Airlines Open in the week before his win. “Ultimately it was no good for Lee and not fair on me either. So unfortunately the partnership had run its course and we both knew that. Times change. It has been a great 10 years of my life with Lee and we had many special times and successes together. Foster, who was previously linked with Rory McIlroy following the Northern Irishman's split with caddie JP Fitzgerald after The Open last year, is now once again being linked with the major champion. McIlroy currently has childhood friend Harry Diamond on the bag. Meanwhile, Storey is set to remain on the bag for Westwood during this week's European Tour season finale at the DP World Tour Championship in Dubai.